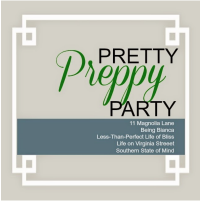 Pretty Preppy Party >> April! Before we get to the link-up, we wanted to share what each of the hostesses have been up to over the past month. 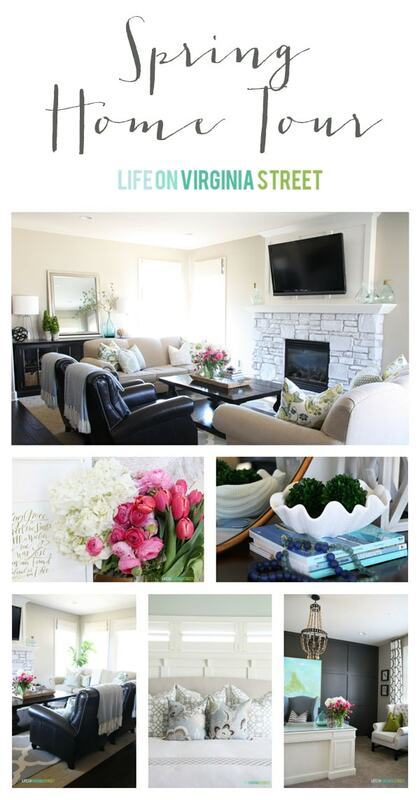 Sarah shared her spring home tour and added some pops of pink to her existing blue and green decor! Click here to see her full spring tour! 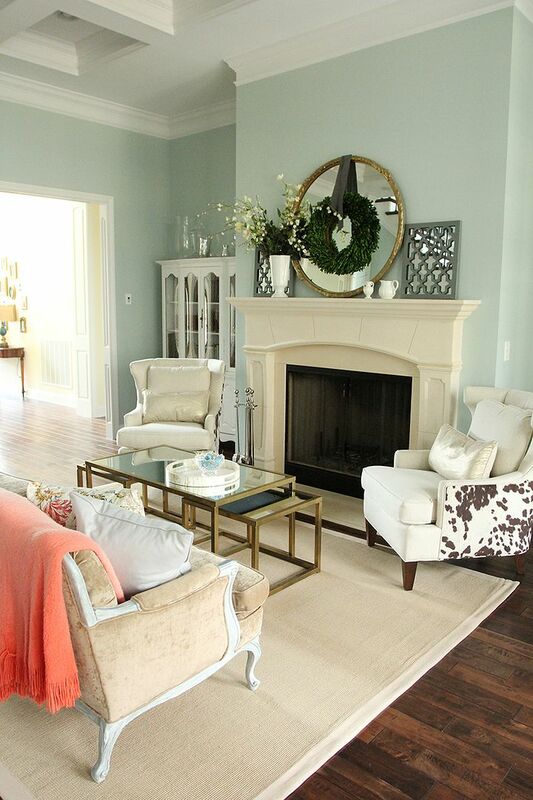 At Julie’s house, she welcomed spring in her Piano Room with some new clearance finds and some stand-by florals. Click here to see more! Brett at Being Bianca shared several DIYs this month. One that just about anyone can use is this wine bottle recycled into a decorative kitchen essential for olive oil. Check out the easy DIY steps and the finished product on her blog. 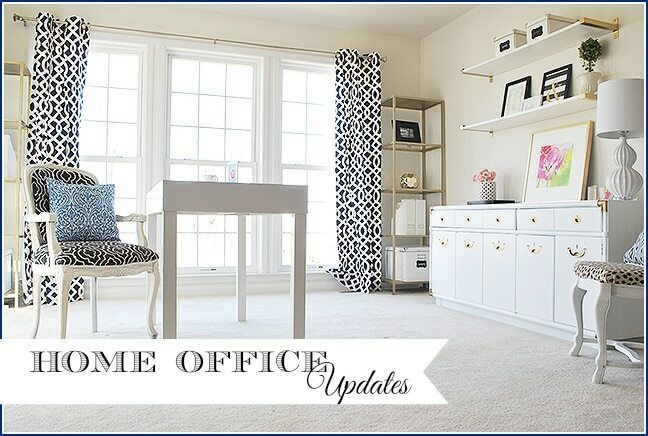 Amy at 11 Magnolia Lane revealed some updates to her gorgeous home office. How could you NOT want to work in this gorgeous space? Click here to check it out! Your cow armchair is taking my breath away! STUNNING! !